We are all, each and every day, standing in the middle of referrals. They are all around us – we just aren’t paying enough attention to them. Part of our brain has something called a “Reticular Activating System” or RAS. Your RAS is like a filter between your conscious and your subconscious mind. It is capable of taking instructions from your conscious mind and passing them on to your subconscious mind. For example, have you ever been in a busy airport with announcements coming over the loudspeaker, noise from all the hustle and bustle, people talking all around you but then your name or your flight number is announced and all of a sudden – you think, “wait, that was my name.” That’s your Reticular Activating System at work. Your subconscious screens out things you determine that aren’t important and it alerts you about things you think are important. I never fully believed this until my first born child was born. I used to be able to sleep through anything – and I mean virtually anything. There was once an automobile accident in front of my home. Police and ambulance sirens, neighbors, and multitudes of people were outside my front door. I’m told the noise was deafening. I don’t know because – I slept through it all! I discovered it the next morning when I walked out my front door – only to find police tape across the walkway! Like I said, I could sleep through almost anything. A few years later, I was about to welcome my first child into the world and I was worried – really worried. What if she woke up at night crying and I didn’t hear her? That would be terrible. I went to bed the first night really concerned about that. Around 2am I sat straight-up in bed and realized that my daughter was whimpering (not even crying loudly). I immediately nudged my wife and said, “Honey, I think the baby’s awake” (I know – women everywhere hate me now, sorry) but forgetting about the lousy husband issue – think about the power of the RAS. It’s incredible. I could sleep through an automobile accident outside my front door but I woke up with the slight cries of a baby. Our Reticular Activating System is amazingly powerful. Our RAS has that same power as it relates to referrals. We are all standing in the middle of referrals every day. They are all around us. We simply need to put our RAS to work in order to hear them. For that to happen, we need to start by listening for the “language of referrals.” Whenever anyone says to you, “I can’t, I need, I want, or I don’t know,” whatever they say next is most likely a referral for someone! These phrases (along with many others) indicate that the person talking is in need of something. That something they need is a possible referral that you can give. If you train your RAS to open its filter and recognize those phrases you will almost immediately increase the amount of referrals that you can give to your referral partners. Giving referrals is one of the best ways to start “getting” referrals. Giving referrals begins with opening your mind or Reticular Activating System to hearing all the referrals that are all around us each and every day. 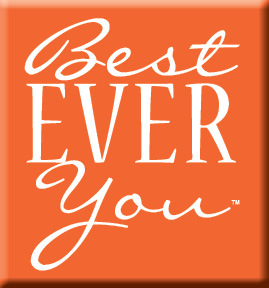 When you begin to do that – a whole new world of doing business opens up to you. 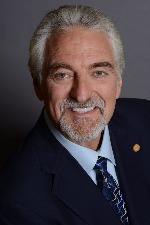 Called the “father of modern networking” by CNN, Dr. Ivan Misner is a New York Times bestselling author. He is the Founder and Chief Visionary Officer of BNI (www.bni.com), the world’s largest business networking organization. His book, Networking Like a Pro can be viewed at www.IvanMisner.com. Dr. Misner is also the Sr. Partner for the Referral Institute, an international referral training company (www.referralinstitute.com).